Candystand.com – Daily Instant Win Games. At CandyStand, everyday is a chance to win with great games online to play. Candystand.com is a PCH Property. Publishers Clearing House’s acquisition of the property was made three years ago. Candystand franchise has been increasing in popularity since then. The popular PCH fun and rewarding game s website offers a wide variety of wonderful games to play online to win real instant cash. Recently, they are promoting Instant win prize bonus game: “Spin the wheel to win”. Visit every day and spin the wheel to win. Everyone wins prizes ranging from 50 free tickets that you can spend in site drawings, to a $500 cash prize. To enter, spin the online instant win wheel between January 1st, 2014 (12:00 AM, ET) and February 28th, 2014 (11:59 PM, ET). Land on a prize amount and you will win that prize. Land on a ticket amount and you will be able to credit your Candystand.com account with the number of tickets you landed on. You may be interested also by Candystand Games other fun games to play. You will surely enjoy classic games like Monster trucks, ATV Racing, Free Cell Solitaire, Mah Jongg and much more fun games to play online. In fact they have more than 250 games to choose from, so there’s something for everyone. Good luck and have fun! Candystand.com Instant Win Game ends on February 28th, 2014. 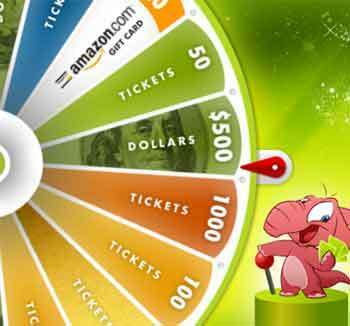 Everyone who spins the wheel and does not win a cash prize or gift certificate or receive Tickets in one of the above-listed amounts will be granted Fifty (50) Tickets. Please let me accecpt my prize 6900 5,000 a week for life and then let me leave a legacy for my grandchildren to think of me each day therfore everafter. I have been trying to play these games. But all I get is a black screen. On all games on this site. I really want to be able to play to win. It passes the day away when u are disabled. 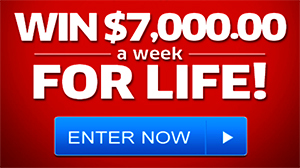 Hello, cross fingers u will pick me for win 5,000.00 a week for lifetime! It will be appreciated that I will help my two sons build new homes as they need them! Also help pay bills off! Our life will blessed by God! Pch I’m happy to have this entry that will help me to move up higher thank you pch . Yes Yes Yes i wanna wanna Winnnnnnn!!!!!!!!!!!!!!!!!! PCH i wanna wanna Win!!!!!!!!!!!! Hey Juliette how are you doing tonight i hope great just got a pin up on face-book so i came say i would love to win with PCH if they should want me for a Sweep Stakes i am easy to be found do not go any were can’t but if we was to win it would be totaly Awesome, that beach sounds great what would you do if you won a Sweep Stakes the same as all of us, have a great the est of this Week-End God Bless and hope to win everything i have are crossed .